Chiropractic care is a holistic approach to relieving pain and strengthening your body, without relying on medication or surgery. Medication can provide temporary relief from pain, but it just masks your issues. 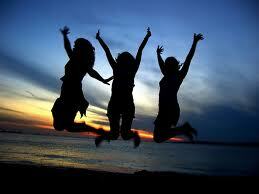 Once the medication wears off, you are back to dealing with the chronic pain that has been holding you back. When it comes to surgery, many individuals would prefer to not have to go under the knife. That is why chiropractic care is the perfect option to help you with whatever type of pain you are dealing with. 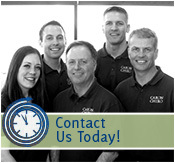 If you are looking for a top notch chiropractic clinic around St. Paul or Minneapolis, MN, look no further than our staff at Caron Chiropractic Clinic, P.A. ● Natural – This type of natural pain relief focuses on realigning your spine and strengthening your body so that it functions at its greatest capacity. ● Long Term Success – By focusing on spinal realignment and strengthening the body as a whole, there is a much greater chance of getting rid of the pain for good. Temporary solutions don’t offer you that potential. ● Say Goodbye to Side Effects – When relying on medication for pain relief, you must make sure that the medication will not have an adverse reaction to other medication you may be taking. Additionally, there is always a risk for side effects when using medicine. Chiropractic care is all natural, meaning that there are no side effects that you have to worry about! So, if you are ready to try a more holistic approach when it comes to achieving natural pain relief, chiropractic care is something to consider. If you are in the St. Paul or Minneapolis, MN area, our team at Caron Chiropractic Clinic, P.A., is the perfect partner for you. We are happily accepting new patients and would love to help you get back to full strength in no time! To set up an appointment, give us a call today at (651) 255-9999. This entry was posted	on Thursday, March 2nd, 2017 at 12:49 pm	and is filed under Auto Injuries, Back Pain, Carpal Tunnel, Chiropractic, Chiropractic Treatments, Chiropractor, Fibromyalgia, Headaches, Neck Pain, Personal Injury, Sports Injury, Whiplash. You can follow any responses to this entry through the RSS 2.0 feed. You can leave a response, or trackback from your own site.